hi all, today's post is a sum up of some of my most recent breakfasts... i love a good breakfast. ♥ oat drop scones, drizzled with tahini and honey, sprinkled with pecans. i made the mix the night before, left it in the fridge and it was good to go on an early morning. it tasted delicious topped with homemade applesauce, and a side of rooibos tea. ♥ breakfast for two. 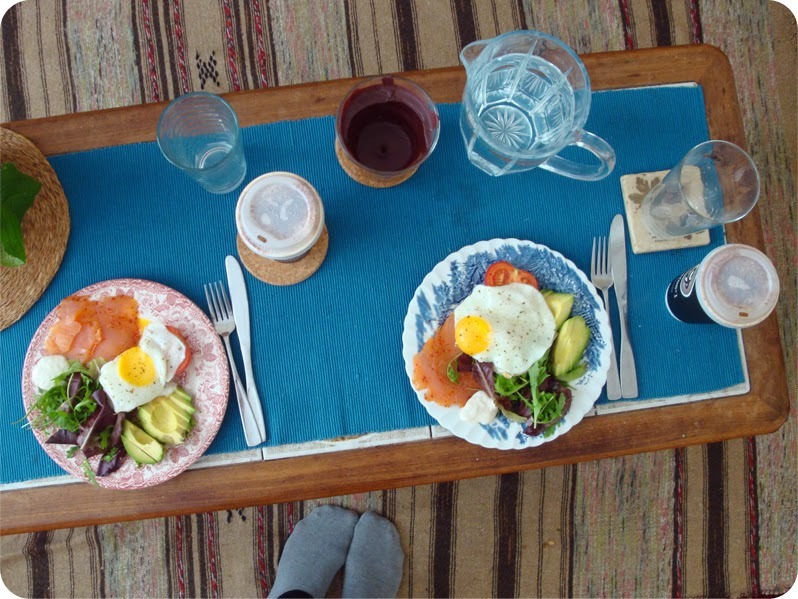 smoked salmon, avocado, salad greens, fresh tomato, horseradish sauce, a fried egg and a cappucino with soya milk from Coffee #1 down the road. 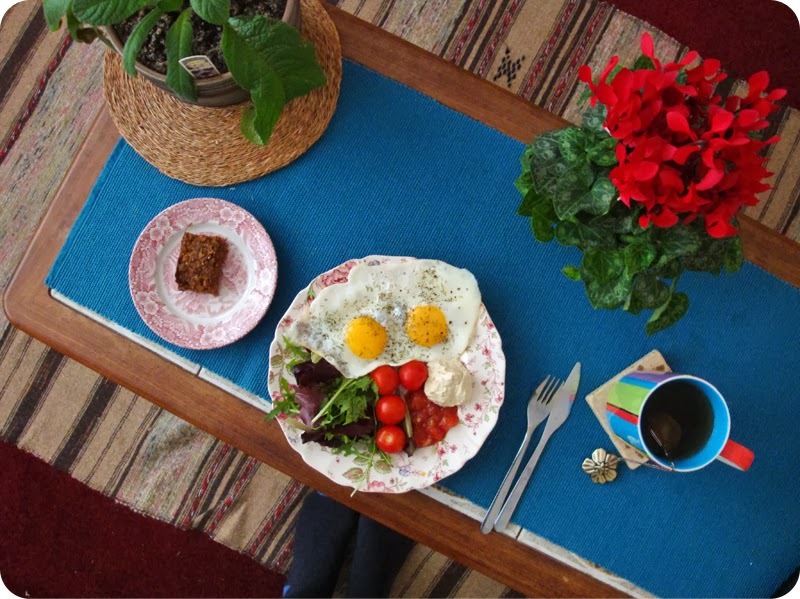 ♥ eggs easy over and sprinkled with dill, with fried mushrooms on a slice of sourdough. 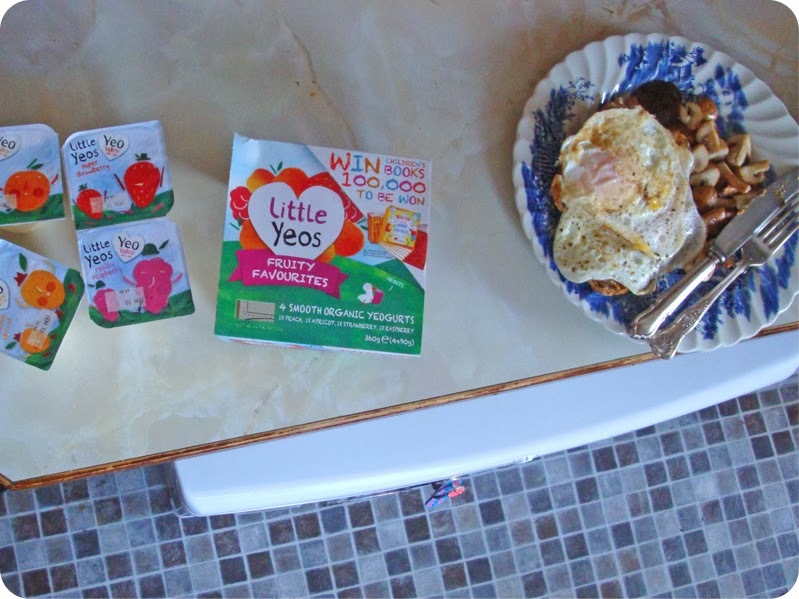 and the choice of a tiny, fruity little yeo. 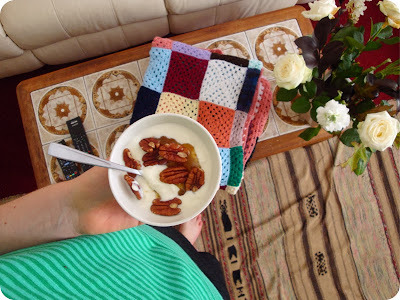 ♥ organic greek yogurt, pecans and homemade apple sauce. a simple breakfast after a heavy dinner the night before. loving the new crochet blanket i picked up at a local charity store. 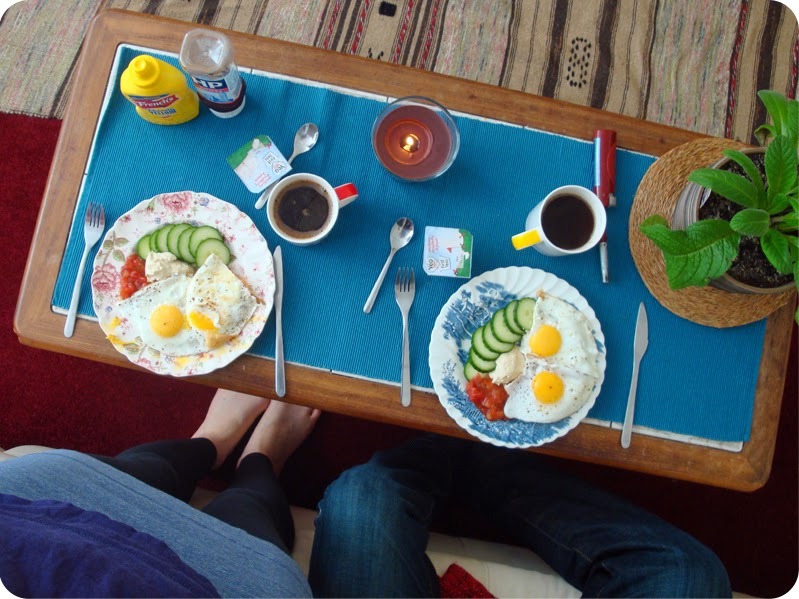 ♥ more fried eggs. i love them! i love eating round the yolk, then popping the whole yolk in my mouth at once, like my great grandfather used to. with a side of homemade rhubarb flapjack. i hope you are all well! thank you for reading. 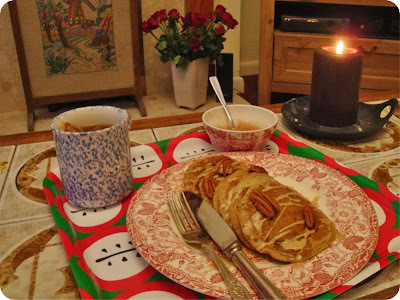 currently listening to: soul cake by sting - one of my favourite Christmas songs, if not my actual top favourite. Love the sound of the yoghurt with apple sauce and pecans, simple and delicious! I could happily eat any one of those breakfast, they all look delicious and so colourful!